Smilers - everything for the GB Smilers Collector - Keep Smiling! ... to Ridgewood Stamp Sheets, here you will find everything for the GB customised stamp sheet collector, and more! This site is also the home of the Smilers Catalogue covering all Smilers related issues. 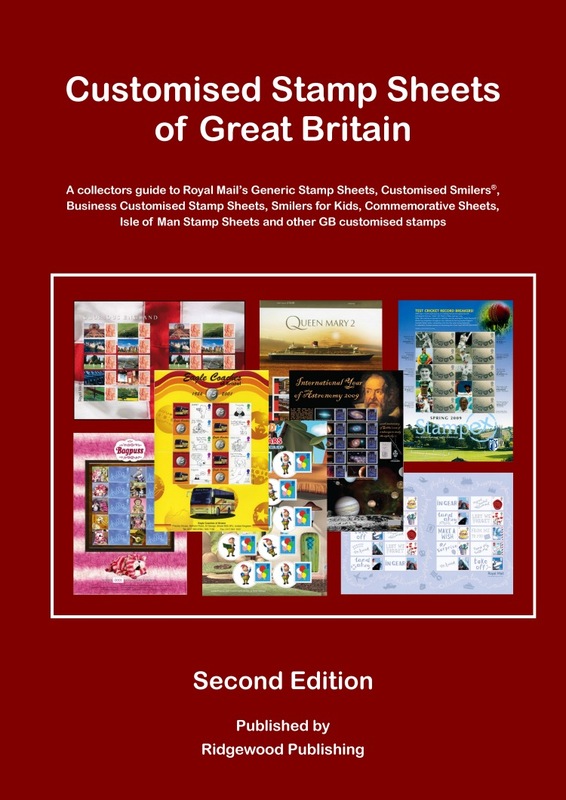 The definitive guide for all Customised Stamp Sheets or Smilers sheets. Have you got your copy of the most complete guide to Smilers sheets? 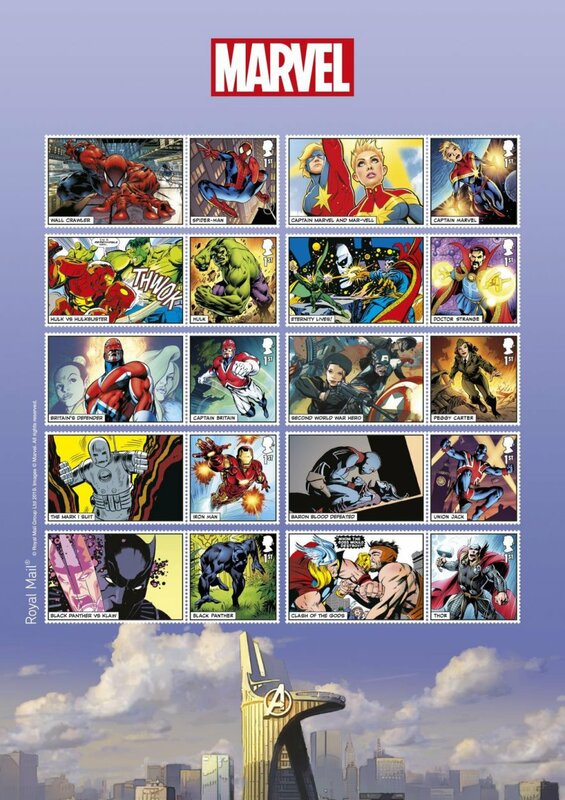 Customised Stamp Sheets of Great Britain is available for purchase from this website. The Smilers Catalogue as we like to call it supports interest in Royal Mail’s range of Smilers stamp and customised stamp sheet formats. Follow this link to buy the Catalogue now on-line. 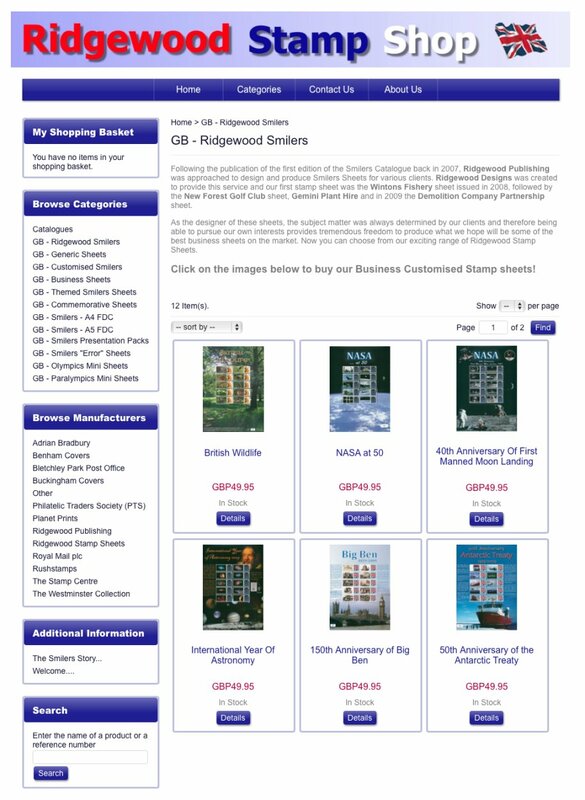 We provide brief details of all new issues for generic, business , commemorative and themed customised smilers sheets plus Royal Mail smilers packs and Universal Mail's personalised stamps. We also produce lists of themed Smilers sheets which updated periodically. You can also download in Adobe Acrobat .pdf format our illustrated Catalogue Listings by clicking on one of the following links. The lists were revised and last updated on 7 January 2019. 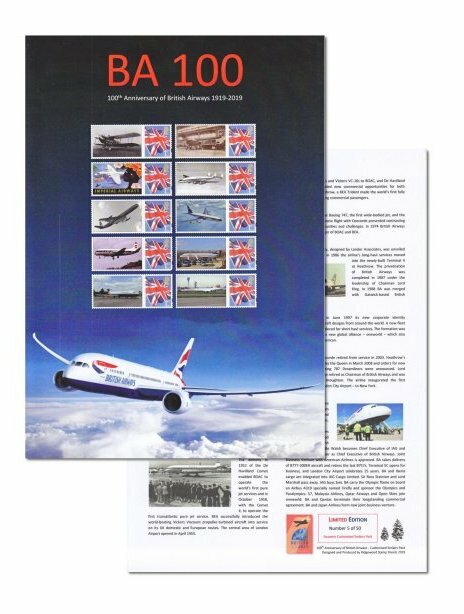 Please check out our brand new Customised Stamp Pack celebrating the 100th Anniversary of British Airways! Click on the above image to learn more! To buy Personalised Stamp Show Smilers sheets please click here! Click on image to visit our on-line shop! I have two complete collections remaining of the Olympic and Paralympic Games Gold Medal winners stamp sheets issued by Royal Mail for sale - every Gold Medal winners stamp sheet issued, every regional printer, supplied in full A4 sheets - a unique collection that can only increase in value over the years. The Olympic Collection comprises 171 A4 Stamp Sheets containing 684 Mini sheets each comprising 6 x 1st class stamps whilst the Paralympic Collection comprises 66 A4 Stamp Sheets containing 528 Mini sheets each comprising 2 x 1st class stamps. Until the end of July 2016 I am offering the collection of both Olympic and Paralympic Games Gold Medal winners stamp sheets at a 20% discount was £5,000 now £3,750 including insured delivery - supplied in four Smilers type binders with each sheet protected by its own Royal Mail Smilers Album leaf. Face value alone is £3,250 so this is a really great offer and one that you will not find anywhere else. If it helps an easy payment plan can be worked out. This will be of interest to collectors of Australian Personalised Stamp Sheets or P-Stamps. Ridgewood Publishing have produced a collectors guide to these fascinating issues in Adobe Acrobat (.pdf) format which is available to buy on CD-ROM priced £14.95, please e-mail me for details. With over 400 illustrated pages, it provides category lists of the many hundreds of Souvenir Event Sheets, Personalised P-Stamp sheets, AFL, NRL Souvenir Stamp Packs, P-Stamp Booklets etc., all featuring Australian stamps with adjoined photo tabs. Jersey has this year joined the growing number of countries issuing generic Smilers type sheets. We have produced a sales list featuring these colourful and highly collectible stamp sheet together with those from United Nations and others and can now offer our Jersey and Other Countries Stamp sheets sales list as a free download. Isle of Man has been issuing its own stamps since the 70's and has issued Souvenir Stamp/Label sheets some designed by AG Bradbury. Here is a selection of Isle of Man Smilers sheets offered for sale. United Nations has been issuing Personalised Stamp Sheets since 2003. To date some 60 or so different sheets have been issued. Here is a selections of UN Personalised Stamp sheets offered for sale. All our priced lists have been prepared in a format readable by most computers. If you do not have this file reader installed on your computer you can download a free copy here , click on the icon above to go to Adobe's website and download a version for your computer. Send us your Smi)ers News! If you have any interesting information, events, club news or are planning any new themed smilers sheets you would like to share with us please send us your Smilers News and we will be happy to publish details here. You can find our contact details on the Contact Us menu option! We continue to receive e-mails from people who think this site has helped them with their hobby and we would like to continue to improve the site. How can we make this site even better? If you have an idea that you would like to send us please feel free to drop us an e-mail and share your idea. You can find our contact details on the Contact Us menu option!